The Department of Health (DH) today (February 3) urged members of the public to support World Cancer Day 2019 through leading a healthy lifestyle to prevent and control cancer. World Cancer Day has been designated for February 4 each year by the Union for International Cancer Control (UICC) to increase community understanding of threats posed by cancer and to unite the global population in cancer prevention. The theme this year is "I am and I will", which means whoever you are, you have the power to reduce the impact of cancer for yourself, for the people you love and for the world. A spokesman for the DH said that individuals can have the power to prevent and reduce the risk of cancer by refraining from smoking and drinking alcohol, being physically active and having a healthy diet by consuming more vegetables and fruits as well as eating less energy-dense food and cured meat. The spokesman reminded members of the public that during the Lunar New Year (LNY) with scrumptious delights, they should use more natural ingredients which are low-fat (such as pork fillet, beef shank, seafood, soybean curd and fresh soybean stick) and adopt healthier cooking methods (such as steaming, boiling and baking) when preparing meals. When having LNY food, they should be mindful of the portions without overeating. Fruit-filled recipes and fresh fruit as gifts can also be considered. In 2016, about 31 500 new cancer cases were reported in Hong Kong and the five most commonly diagnosed cancers were colorectal cancer, lung cancer, breast cancer, prostate cancer and liver cancer. Cancer is the leading cause of death locally. "An unhealthy lifestyle is the leading cause of cancer. Study shows that 40 per cent of cancer cases are preventable by adopting a healthy lifestyle," the spokesman said. Tobacco, alcohol, physical inactivity, an unhealthy diet and being overweight or obese are the major risk factors of cancer. Among them, tobacco is the single most important risk factor for cancer, as it leads to 90 per cent of lung cancers. Like tobacco, alcoholic beverages are also classified as a Group 1 carcinogen by the World Health Organization (WHO). The WHO also estimated that about 21 to 25 per cent of breast cancer and colorectal cancer cases are mainly attributed to physical inactivity. An unhealthy diet and being overweight or obese can also increase the risk of a number of cancers. The Government published "Towards 2025: Strategy and Action Plan to Prevent and Control Non-communicable Diseases in Hong Kong" in May last year, setting out nine local targets to be achieved by 2025 and covering actions against the above unhealthy lifestyles. The DH has been actively promoting a healthy diet and regular physical activity so as to reduce the burden caused by non-communicable diseases (NCDs) including cancer on the healthcare system and society. 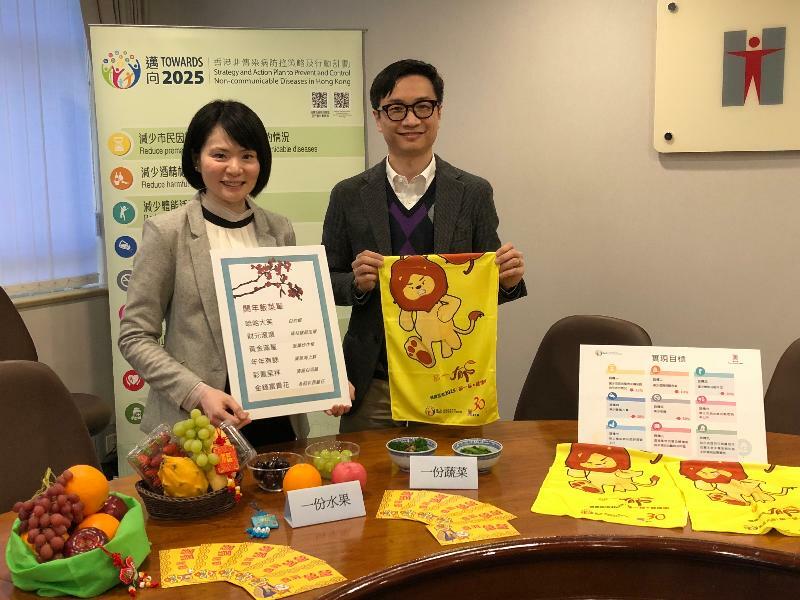 A large-scale publicity campaign, "Healthy Hong Kong 2025 | Move for Health", was officially launched in December last year, encouraging the public to increase their physical activity to build up an active lifestyle and prevent NCDs. To encourage the public to "move for health" and do more exercise, the DH has produced a campaign mascot, Lazy Lion. Lazy Lion will motivate the public to develop an active lifestyle through various means and flash mobs will be held across the territory from time to time. Details can be found on Lazy Lion's Facebook page (www.facebook.com/lazylionhk). More information on World Cancer Day is available on the UICC's website (www.uicc.org/world-cancer-day-2019).